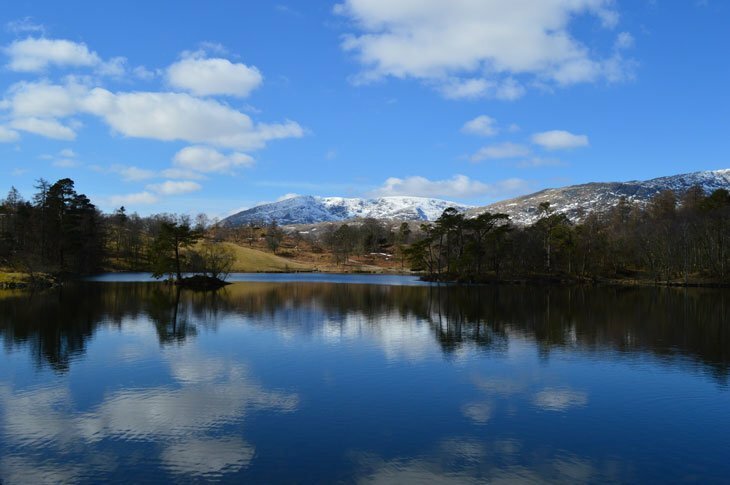 Nestled deep within the English Lake District between Coniston and Hawkshead sits Tarn Hows, a beauty spot accessible to the masses. Away from the big touristic lakes and towns but with car access to its side, the lack of need to trek or climb adds to what has become a very popular spot in the summer. I took the opportunity as ever to wander round this gorgeous escape before the big busy season and enjoy in a calm. 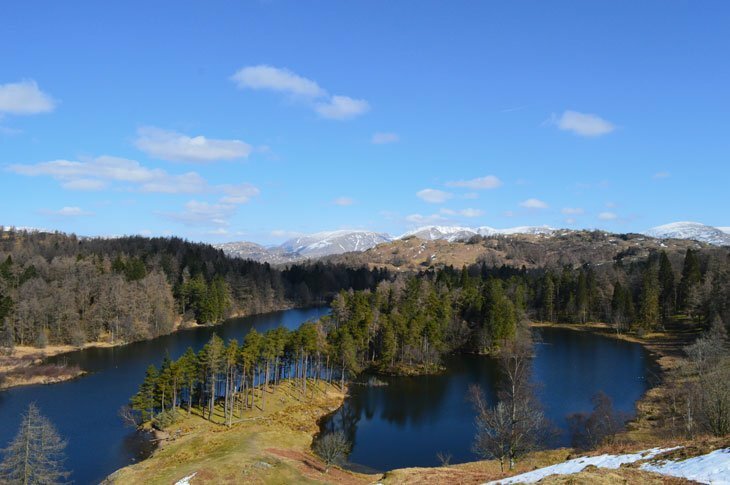 The path around Tarn Hows is only about 1.5 miles of well maintained unsteep path. Perfect for families, dog walks, picnic or relaxing in the fresh air. Parking (it is a whopping £6.50 to park at the official car park all day), I personally would park at many of the car parks that you see on the road leading to the place. There are many just before Coniston if coming from Ambleside. If heading there from Hawkshead then there are laybys and small car parks on the road in. 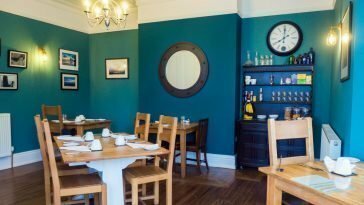 Both these options provide you with an extra couple of miles of beautiful walk to discover plus as you come over the hills overlooking the waterscape then the panoramas with mountain backdrops are a gorgeous extra. 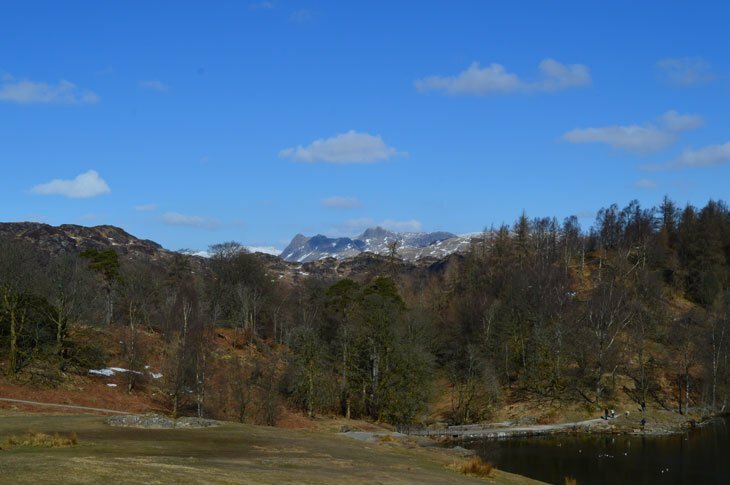 Above – The Langdale Pikes rise up out of the view across the tarn. 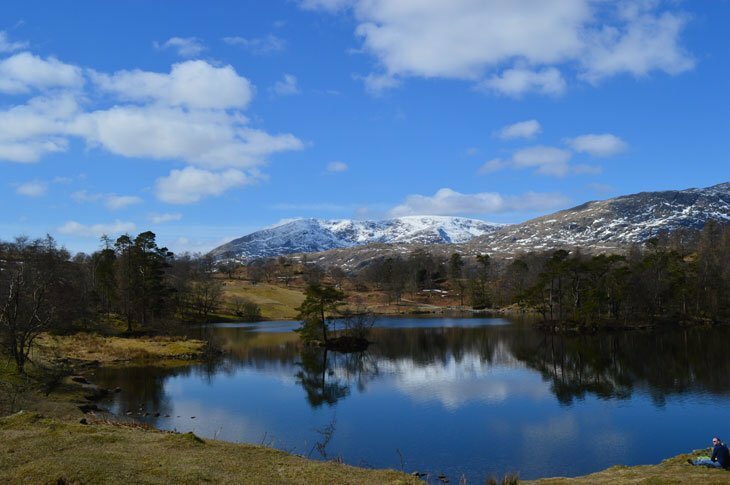 Once out and overlooking the tarn you sense immediately the beauty of the area and also how it is different from so many spots of the National Park. In the 1800s this area was three open tarns more typical of what you see elsewhere. 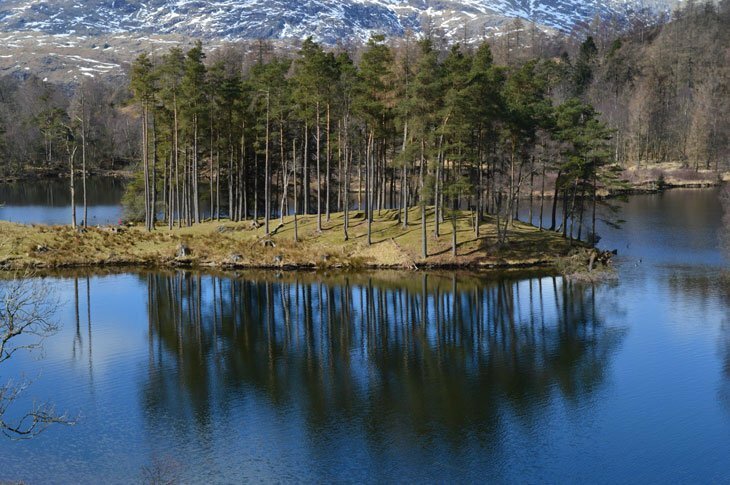 The then owners enhanced the spot by artificially joining the tarns together forming the one bigger one and planted many varieties of conifer around. The beautiful tourist spot was created and yes, the beauty cannot be denied. 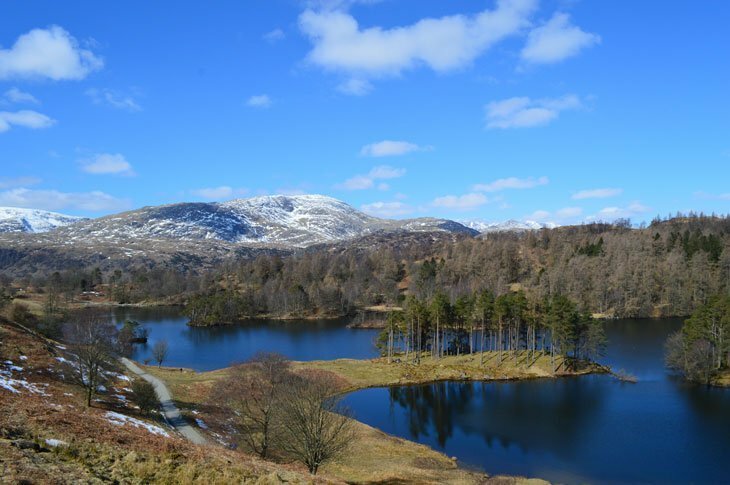 In 1929, 4000 acres of the local land including Tarn Hows came up for sale. 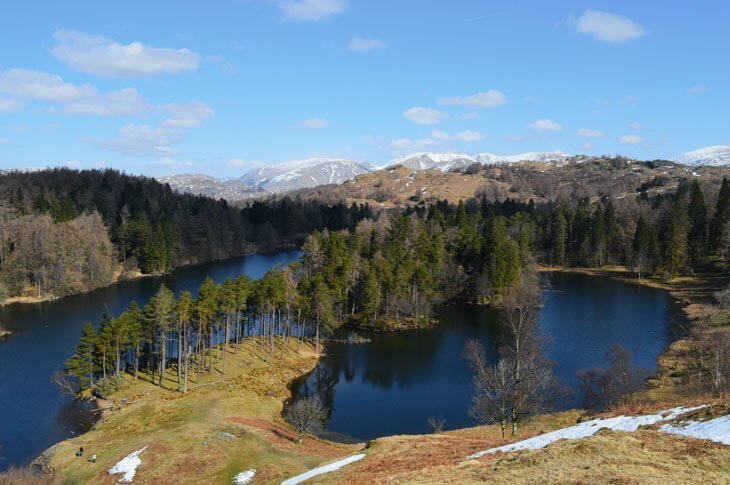 It was bought by Beatrix Potter whom sold half the land, that included Tarn Hows to the National Trust. Beauty preserved to this day. 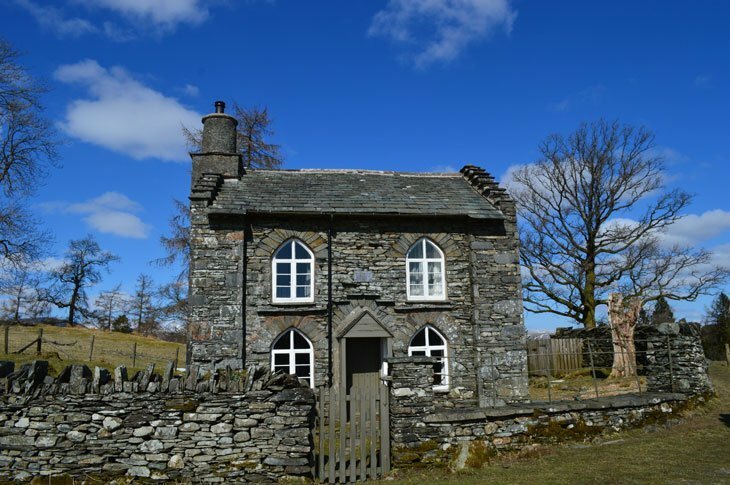 Wandering just a couple of hundred metres from the track above you can find all sorts of hidden treasures like this lovely 19th Century cottage, Rose Castle Cottage. Tracks, paths and views head in all directions. 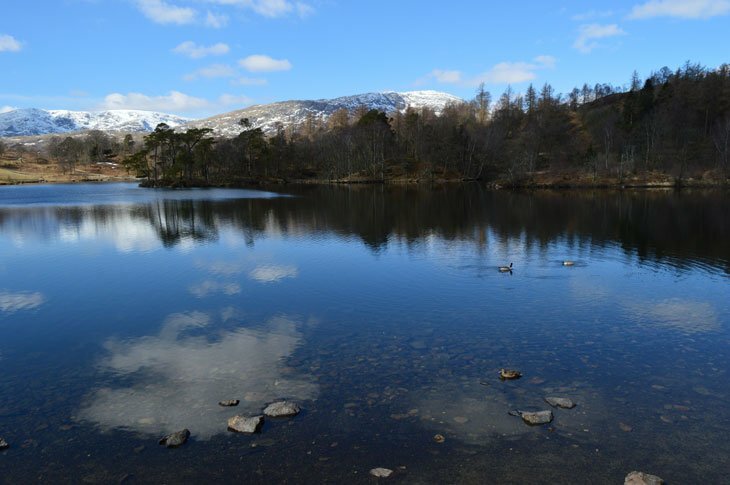 If you want to leave the crowds at the tarn then it never takes long to find that quiet serene feeling of being alone. Above: A perfect place to relax by the calm water. 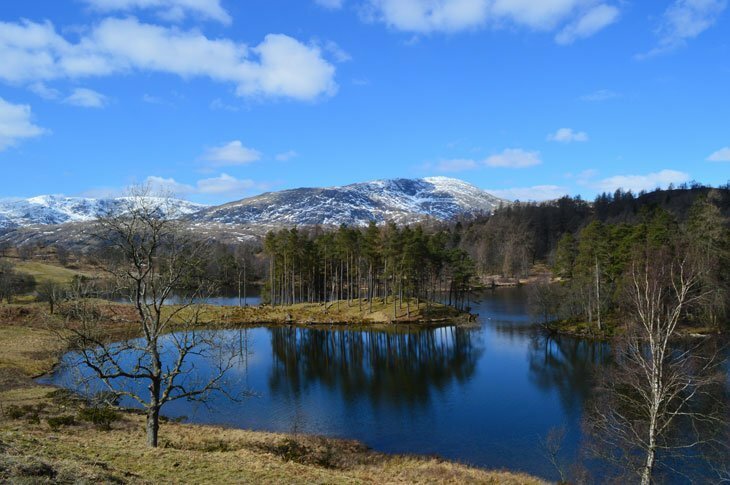 A gorgeous Spring day with the remnants of winter clinging to The Old Man of Coniston in the background. There can be fewer nicer spots to reflect in thought with reflections before you. 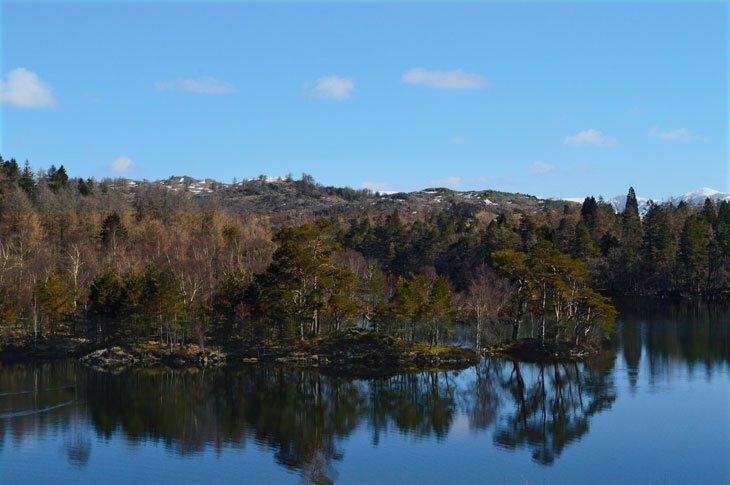 Below: The iconic view overlooking Tarn Hows, one of the most photographed spots in the lake District. 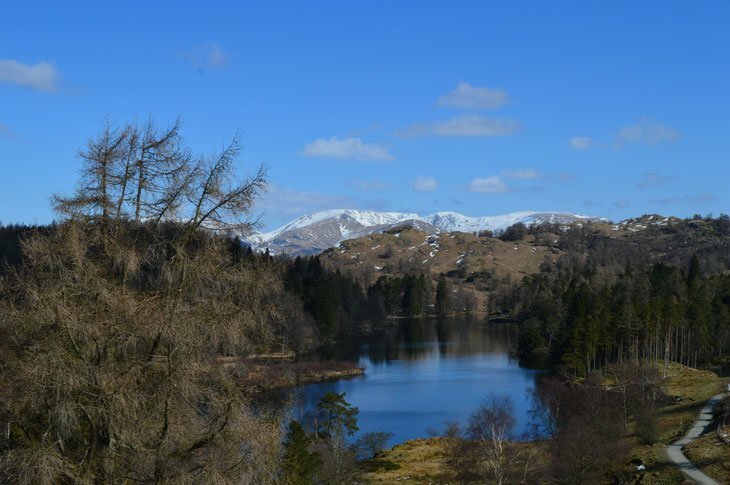 I have mentioned Coniston Old man and The Langdale Pikes above but looking out the other way there are the great mountains of Helvellyn and the Eastern Fells. I have visited there couple years ago. Before I was really into photography. 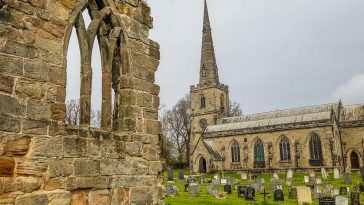 These photos have really captured some stunning scenery and surrounding area. Time to go back and re visit . Perfect pictures…perfect place. I was back ‘home’ recently and spent a day in the Lakes with my dad. 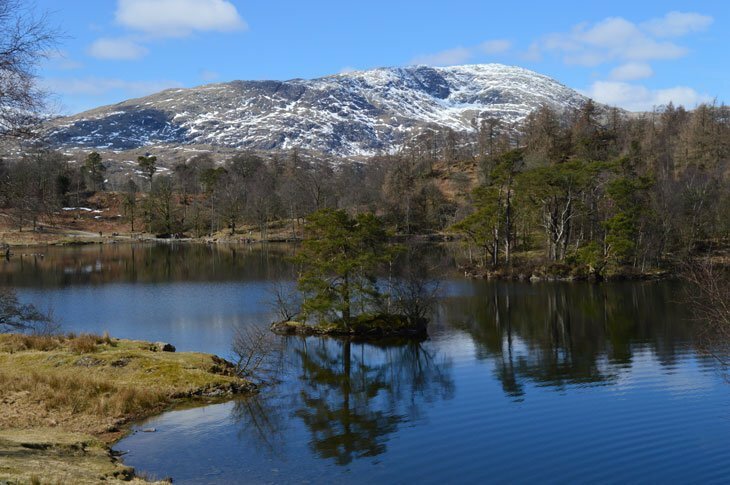 I’d suggested Tarn Hows as I haven’t been there for years. My dad wouldn’t go, saying that he felt it was a all a bit ‘country park’ nowadays. Paul, the photos are great and show the place off really well. 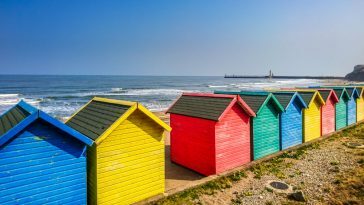 It’s a great place to take a walk and the views are superb. We quite often go there on the morning we travel home. A circuit and a bacon butter from the van that’s nearly always parked there fill a morning up perfectly. I’m pretty sure that it’s free to park for National Trust members too. 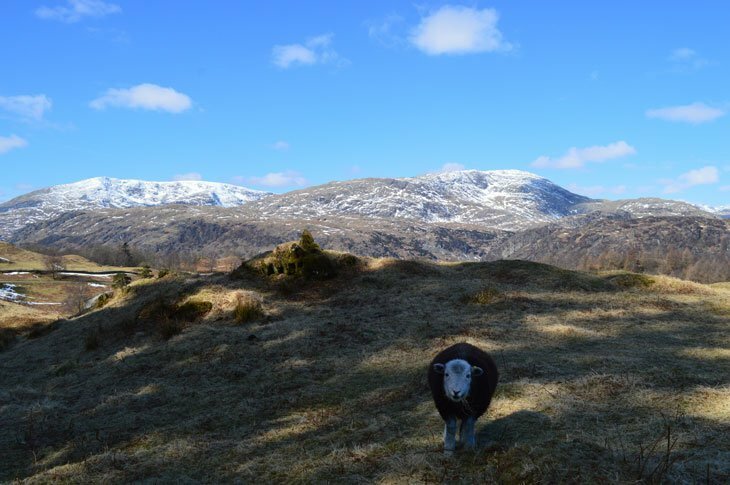 Lovely photos, Paul… we seem to be enjoying some beautiful cool, crisp days in Cumbria at the moment.